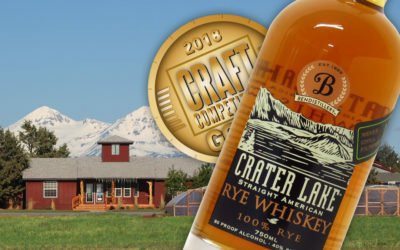 Craft Competition is the hub for all craft distilleries, breweries, wineries and mixer companies to bring their brands to the table and see how they measure up in the industry. There have been over a thousand entries over the last three years and dozens of hours of tasting, analyzing, comparing, noting and judging amongst industry experts using enhanced technology provided by NEAT Glass. The 2018 results are in! Simply navigate to any of the competition categories, Spirits, Beer, Wine and Mixers to see the rows of medalists. Are you interested in competing in 2019? Online forms will soon be provided, so please check back soon. In fact, sign up to receive CraftMail for news and notifications to stay in the loop. Are you a Craft Competition Alumni? You probably need some bottle stickers to show your brand off on the shelf. Place your order today with our easy online form by clicking here. Double Tap is a well balanced stealthy HOP BOMB! Using Azacca, Citra, & Equinox hops, Austin, Texas Double IPA has a 10% ABV. We bring together independently owned distilled Spirits, Beer, Wine and Mixers from the top producers around the world. A competition focused on quality distillation and what’s inside the bottle, rather than packaging, marketing or quantity made. Making an excellent craft product takes blood, sweat and tears. Going the extra mile to be the best yet unique, whether it be organic, small batch, single barrel, block, gluten-free, low cal., high proof, handmade…Once these brands go to market competing against mega brands with multi-million dollar marketing campaigns seemed impossible, now through our Craft Competitions we make sure they get true recognition. attracts craft distillers’ top craft spirits worldwide. Just to let you know how craft spirits are growing, take a look at the U.S. from a few dozen distilleries ten years ago to over two hundred fifty today and growing, now multiply that worldwide! Independent owned distilled spirits from the master producers, making the best spirits possible using the best ingredients. It could be organic, small batch, hand made, local, new flavors, family recipes…but always unique. An expert panel of a dozen judges with years of expertise both in the field and judging spirits will award Gold, Silver and Bronze medals on our 100-point blind tasting. 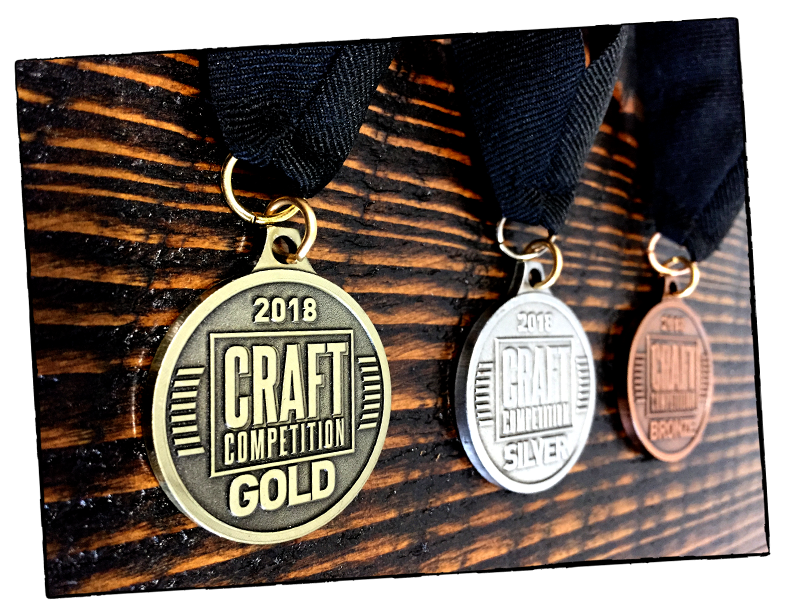 Craft Spirits Competition results will be posted on the site and brands will use winning medallion on bottles and marketing materials. brings together craft brewers’ favorite beers from around the world. The craft beer category seems to be growing daily, stores with 2,000-3,000 craft beers that will tell you they will have more than double the selection by next year. Each beer displays creativity, passion and complexity of ingredients. An expert panel of a dozen judges with years of experience judging beer will award this year’s entries. Gold, Silver and Bronze medals are awarded on a 100-point blind tasting. 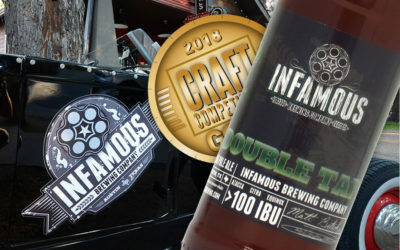 Craft Beer Awards International Competition results will be posted on this site and you will notice winning medallions on both craft beer bottles and marketing materials. brings together vintners best wines from all over the world. Independent, artisan, boutique…flagship wines that reflect what wine making is all about. Producers are focused on wine making, unique yet with a common constant commitment to quality. Craft wines have the ability to focus intensely on every aspect throughout the wine making experience. Start with geography, climate, and interaction with the soil to certain characteristic qualities that go into the fermentation process and aging or just the sum of the effects. Craft wines are made with passion and the unique flavors in each varietal present themselves in the finished product. Wines are tasted blind by an expert panel of a dozen sommeliers with years of expertise both in the industry and judging wine. Gold, Silver and Bronze medals are awarded on a 100-point system. 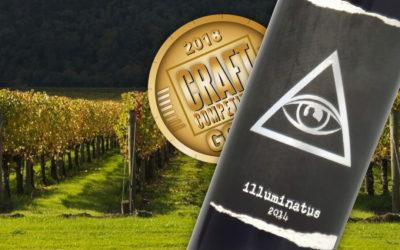 Craft Wine Competition results will be posted on the site and brands will use winning medallion on bottles and marketing materials. is to bring more attention to craft brands helping them become the fastest growing of all beverage categories. Sommeliers, mixology professionals and liquor storeowners have taken to the craft movement and agree that the craft brands segment will only get bigger year after year. The emerging demand in the marketplace for authentic craft products is here to stay, make sure your local liquor store or local bar order the brands you want or find another one that will, Cheers!